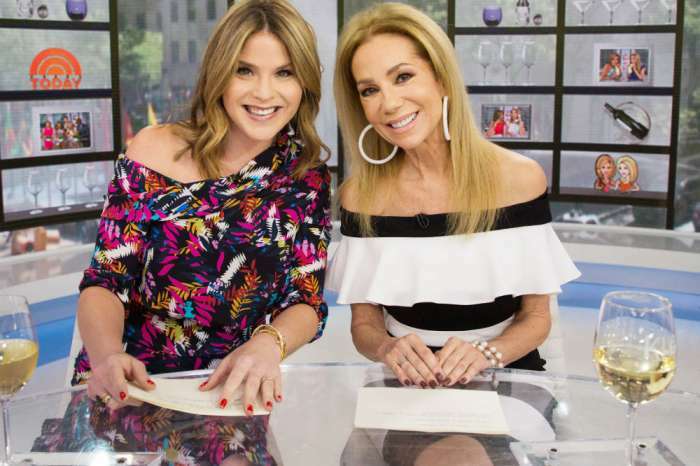 NBC executives want to shake things up on the Today show following Megyn Kelly’s public relations nightmare – and Kathie Lee Gifford might be on the chopping block. Insiders claim that producers are quietly looking for a replacement and hope the change will draw a much younger audience to the show. Ideally, the network wants to hire a female version of Craig Melvin, who brings a lot of youthful energy to the set. They have not settled on anyone yet, but the insider says that both parties are ready to move on. NBC has not been shy about their desire to replace Gifford, and she is looking forward to focusing on other career ventures. If NBC decides to pull the trigger and replace Gifford, at least she knows it’s coming. A source told Radar Online that Gifford frequently takes days off and recently spent two weeks away from the show to work on a film in Scotland. She also lost her favorite producer on the show and worries that NBC will bring on Kelly’s staff to replace him. The insider claims that Gifford would happy if NBC let her go. In fact, leaving the show would allow her more time to focus on other passions, including movies, books, and Christian activities. 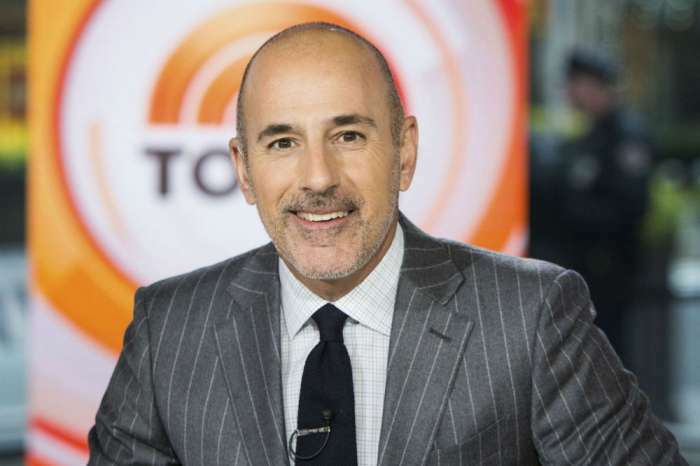 The rumors come following Kelly’s departure from the Today show earlier this month. The former Fox News anchor was let go after making racist comments on her segment, Megyn Kelly Today. Ever since Kelly was booted from the program, the show has seen an increase in ratings in the 9 o’clock slot. Even Gifford and Hota Kotb’s 10 o’clock segment has seen an increase in viewers now that Kelly is gone. NBC hopes that bringing a fresh face on board to replace Gifford will boost the ratings even more. NBC has not commented on Kathie Lee Gifford’s future on the Today show. KLG needs to go! She is obnoxious and self centered and way too competitive! Hoda has the dignity and patience of a saint to tolerate KLG. Please do not replace KLG with Jenna Bush. She is frequently inappropriate, loud and way too focused on getting the last word and being right. I find her offensive. Dylan Dryer would be a good choice. She is perky, smart and fun and considerate of others. I am 60 years old….watched Regis and KL for years. I liked her then, but she is extremely annoying to me, now. She acts like Regis used to. She criticizes things she doesn’t understand or agree with. She thinks her own sense of humor is funny, but it’s very dated. Hoda has the patience of a saint with her. Jenna and Hoda are more fun, and genuinely kind women. You want a younger person for viewers but the younger viewers are working. You guys are clueless. You will kill the show if you break these two up. Just sayin….let’s not throw the baby out with the bath water…. It’s sad how people judge each only God can judge that’s why this world full of negative people…just make u right when God come …. She seems like she has 2 b the center of attention at all times. At least that’s how it appears 2 me. But when it seemed that she started dropping weight, earlier this yr, I decided to check out her FB Page. Funny how there are NO pics of her, before this Jan.
Leaves one wondering if she is trying to “look” younger, in an attempt to stay on the today show. Exercising to drop weight for a movie role. And I often wonder Why? Did NBC hire her ?? “media *****”… can’t tear her self away from in front of a camera, now that she’s in front of it. If she has “other, more important things to do, with her time”, why doesn’t she just Quit, rather than waiting for them to cut her loose ?? I hope she lost the weight for health reasons… but I just think, if she gets any skinnier, she’s going to make herself sick. KLG is way too religious!! I’m sick of her holier than thou attitude! I’ll be “leaving” TODAY if Kathie Lee Gifford is let go. She and Hoda are great together. They’re fun and funny and have a lot of energy. And WHY is there a need to start a younger group? That’s discriminatory. What about Al Roker. Now there’s a guy that should be gone from Today. Well, they’ll NEVER let Kathie Lee go now that they’ve seen this. Younger people don’t watch Today because they’re at work, not because of who’s hosting. I`m so tired, of the Today Show, I always loved it till this past election, and it`s so noticeable that it`s a Democrat show, so take it to the one`s that like to be put down. A MISTAKE letting Megan Kelly go. She represents strong, confident, yet sensitive women. She has strong opinions and that’s a good thing, because she allowed others to have their opinions too. I love what she brings to the conversation. People today are so hypersensitive about everything and take things so personal. Ridiculous. What an insult to those of us who can handle the opinions of others and who can intellectually decipher the difference between what is a racist comment and what clearly is not. Regarding Kathie Lee, she’s great but a little neurotic for the show. And Jenna is an amazingly wonderful person, but a tad boring for the show. You will lose viewers. Honesty. I think she was gone 6 weeks to do her movie. Kathee Lee is obnoxious!! She is rude; constantly interrupts Hoda and everyone else who appears on the show! Jenna Bush is delightful, sweet and down to earth! She would be a fantastic YOUNG replacement and a breath of fresh air which NBC desperately needs! If you replace Kathie Lee, count on this viewer to quit any NBC morning programs. I’m 60yo and appreciate the fun, humor and dynamic that Hoda and KLG bring to the 1000 of NBC. There is no cause to fire KLG except agism. Shame on you NBC for practicing such a discrimination. I’m 75 and I won’t miss her. (Happy to see Megyn gone also). We need new energy. Kathylee pretending to drink wine at 5 o’clock in the morning is way too goofy. Why not Jenna Bush Hager? She seems like such an OBVIOUS choice. Even though I am not a fan of Boring Megan Kelly….I would take NBC to the cleaners. They are very fickle and seen hard to work for. More drama when does it end???????? ?